When you are planning a home remodeling or improvement project, the selection of the team of specialists who will turn your dream into reality is an important one. They must share your vision and be meticulous in carrying it out and, most importantly, be obsessively committed to the quality of the finished product. As general contractors serving Fayette, Clayton and Henry Counties for over 30 years and utilizing decades of home remodeling and home improvement experience, Hometown Roofing and Remodeling use only expert craftsmen and the finest quality materials in your home renovation project. Hometown Roofing and Remodeling will complete your exterior remodeling project within budget and on time. We are sure of the quality of our materials used and our group of professionals every step of the way. Our completed projects are a direct result of creativity, focus, attention to detail, meticulous planning, and a high level of customer service. Whether you have a deck or patio to build or an entire roof to replace, Hometown Roofing and Remodeling can handle the job. And we take just as much care with the small projects as the big ones; your satisfaction is just as important to us. Click here to see some of our past work to get an idea of the high quality and wide scope that we offer! Save today! Call Wayne at (770) 882-8969 to schedule your free consultation and redeem500 off a Complete Roof Replacement! Offer ends July 1st, 2018. Now is a great time to care for your roof. As the leaves begin to fall, your gutters will begin to clog and overflow. Contact Hometown Roofing and Remodeling for expert gutter cleaning and let us climb the ladder for you! 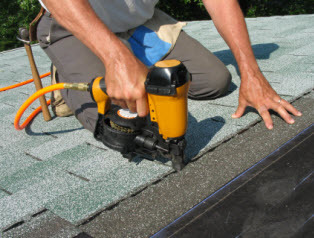 Now is also the time for any needed roof repairs before your roof starts to leak. We can provide a thorough roofing inspection to detect problems early and give you peace of mind as the seasons change. Whether you are looking for a professional general contractor construction company to handle your whole exterior home remodel, or are just looking for a home repair company to do some handyman jobs that you either don’t know how or never find the time to start, Hometown Roofing & Remodeling is the best choice for all of your home improvement needs! Just read what some of our valued clients have to say! The guys from Hometown Roofing did a great job on our home renovation and cleaned up after themselves. They even did some power washing of the house for us afterwards. We've already referred their commercial roofing and construction division to a friend of mine in Fayetteville. One of our new neighbors recommended Hometown Roofing and Remodeling because they were really pleased with the vinyl siding replacement they had done on their home. We love our new composite roof which is holding up really well to whatever the weather throws at it. Hometown Roofing can handle all your roofing needs from new construction installation to tear off, or reroofing replacement. We specialize in rain, hail, wind and storm damage repairs. Call us for a roofing inspection after a big storm and periodically to detect small problems before they become costly repairs or replacements! We don’t just offer expert roofing services! 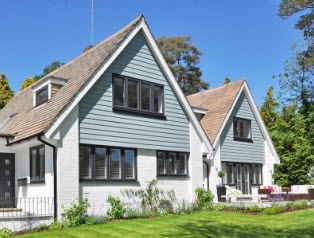 Hometown Roofing also offers professional siding services including new construction installation as well as repairs and replacements to existing siding. We recommend James Hardie HardiePlank Siding as it has a 50 year warranty and holds up well to our humid Georgia climate! Whether you need gutter cleaning, new construction gutter installation, repair or replacement of existing damage gutters; Hometown Roofing can meet your needs. We can offer a thorough consultation and inspection and then set out recommendations to best meet your needs. Contact us today for all your gutter needs! Copyright © 2014 Home Town Roofing & Remodeling. All rights reserved.